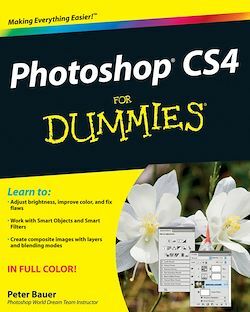 This latest version of Photoshop has a few new tricks up its sleeve and Adobe Photoshop CS4 For Dummies will teach you how to use them. From the basics like getting your images into and out of Photoshop to enhancing, cropping, and color correction, it’s all here! Complete with lists of ten reasons to love your Wacom tablet, ten reasons to own a digital camera, and ten favorite tips and tricks, Adobe CS4For Dummies is your one-stop guide to setting up, working with, and making the most of Photoshop CS4 for all your digital photography needs.